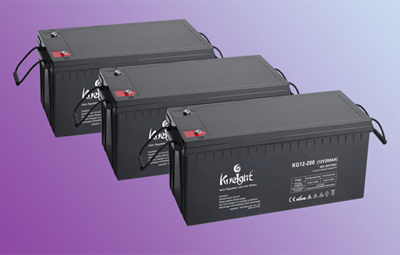 By combining the newly developed nano gel electrolyte with up-to-date advanced structures, KWEIGHT created the innovation KG Series of batteries, 2V 6V & 12V Gel battery. This range features 15 years design life and front access connections for fast, easy installation and maintenance. This GEL batteries is highly suited to solar outdoor applications, renewable energy systems and other harsh environment applications.